Have a tree issue? A problem limb? Strange symptom? Or just looking to improve the overall health of your trees? We know just how to take care of it! Have a tree issue? A problem limb? We know just how to take care of it! 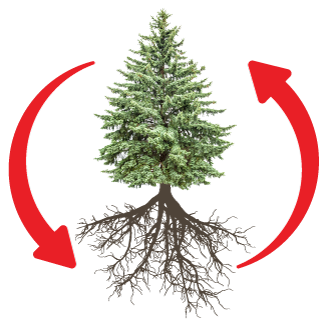 We look below ground at soil and nutrient availability to improve your tree’s overall health. Our knowledgeable team uses cutting edge tools and software to deliver the tree data you need. We respond quickly to unexpected tree damage on your property to clear all limbs and debris. WHAT IS TOTAL TREE CARE? The majority of a tree’s health comes from the part of the tree we cannot see – the roots! Total Tree Care incorporates these vital parts and systems. By looking at soil and nutrient availability, we can improve the tree’s overall health and natural defenses. With these services we have the resources to keep your trees healthy for many years to come. 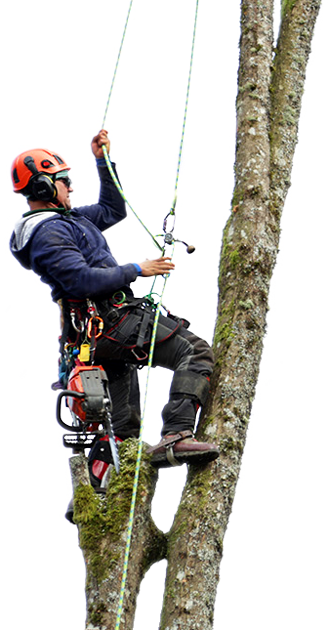 Our team of ISA Certified Arborists has over 25 years of experience. ISA Certified Arborists must pass exams and routinely continue their education to keep up on the latest advances in tree care. This means we provide you with professional service based on the most current industry practices. We perform our work safely and efficiently with a focus on customer service. Arbor Care Tree Specialists is the tree service that you’ll be proud to have on your property! Luke, on behalf of my sister and I, we wish to express our sincere thanks for taking the time to rescue our RagDoll Kitty from high above in a tree. There was no way he was going to come down due to his paws being laden with pitch from the pine tree. Your staff were a comfort and a delight to deal with in this emergency. We will certainly be recommending your services to any and all that require it. Thank you so much for doing such an incredible job on our trees. I am sitting at the dining table right now looking at the maple tree and loving how you opened up spaces. I have a great opening looking at the window of my neighbors but it is so subtle that you just get glimpses and the golden light at night. The sun is trying to come out today and so I am trying to judge the difference in the filtered light. So nice that it is not a traumatic change, just subtle. I am also enjoying the Katsura’s, I am not sure what all you did but they are looking spectacular. Thank you for your artistic touch to my garden. Arbor Care Tree Specialists included my family in the process from beginning to end. We had two trees removed and one tree pruned. We rate this company a true ’10’. They are professional, conscientious. They love trees and provide utmost safety to the workers involved. On top of it all, they are simply good, nice people. We thank you Luke, Krickett, Jon and Eli. We appreciate the way you do business – calling us before you came, and advising your schedule for completion. If you wish, you may use us a reference any time. Thank you, thank you for the expertise, honesty, hard work, and humor you lent us with the preparation of our lot! You guys were such a joy to work with, and we really appreciate your role in the construction of our new home. We’ll look forward to the chance to refer you to others, as well as continue using your tree insight and services once moved in. Kindest regards and our gratitude! If you love working with our most beautiful natural resource, check out our job openings.